Constructed to hold up to 900 lbs. Wheels allow mobility for flexibility in locating needed items. Fully enclosed cabinet. Secure three-point locking bar system locks top, bottom and doors. Shelves on one side; wardrobe with rod on the other. 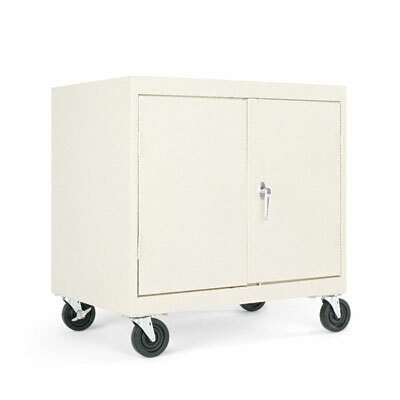 Wheels allow mobility for flexibility in locating needed items.